The weekend and next week will bring a strong warm up. The jet steam will surge north allowing for strong southerly winds. 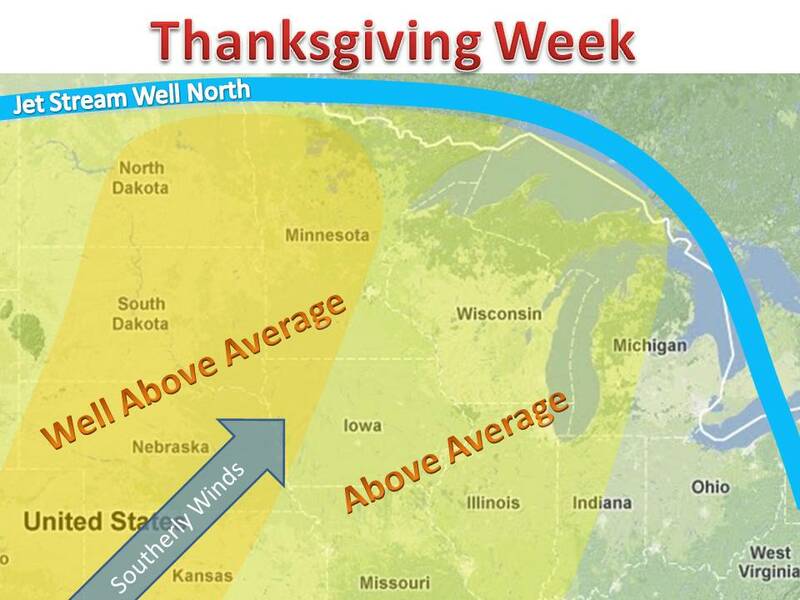 The warmest day will be Tuesday in the plains and Wednesday in midwest/great lakes. A storm system will then move through on Friday, bringing rain and much colder temperature from Canada. Generally it will be dry so traveling should not be a problem. Maybe some scattered showers on Sunday night into Monday in Wisconsin and Illinois, but nothing much. 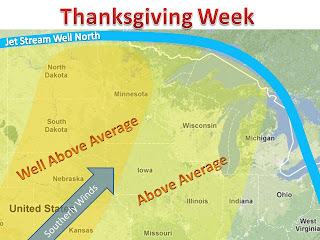 Stay tuned to midwestweather.org for any updates on the Thanksgiving forecast!